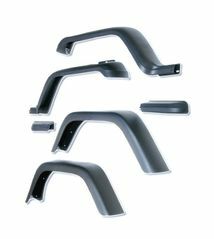 This 7-inch fender flare kit fits 87-95 Wranglers. Mounting hardware included. Metal trimming & drilling are needed to install the rear flares.